What to Expect This moderately-paced, escorted tour involves a fair amount of walking or hiking, often on uneven terrain, requiring a good level of physical fitness to fully enjoy the trip. This tour also includes long scenic drives between destinations. 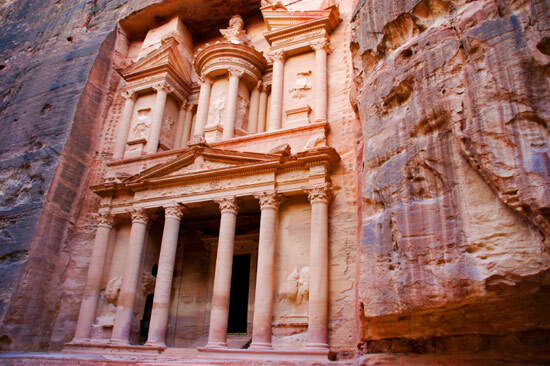 Full Day Itinerary: Board your overnight flight to Jordan from Los Angeles. Aloft, we will have dinner, time to sleep, breakfast, and the opportunity to praise the Lord for His beautiful creation from the vantage point of 35,000 feet! Accommodations: 1 night Grand Millenium Hotel, Amman. Arrive to Amman and transfer to your hotel. Full Day Itinerary: Arrive in Amman, where East and West come together in a wonderful mix of old and new. After customs formalities, you'll be met by our representatives in Amman then escorted to your centrally located 5-star hotel. Accommodations: 1 night Hyatt Zaman Hotel, Petra. Included meals: Breakfast & dinner. 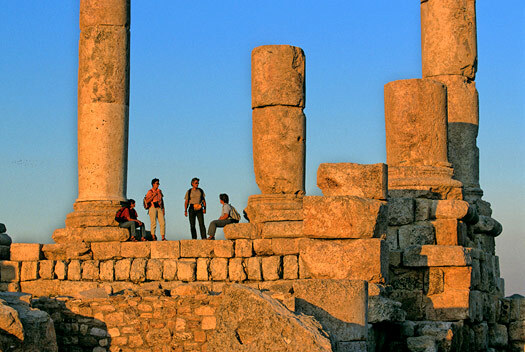 Full Day Itinerary: After breakfast, depart on your morning sightseeing tour of Amman. Later, continue with a visit to Wadi Rum before you continue to Petra. Check in to your hotel for dinner and overnight. Accommodations: 1 night Grand Millenium Hotel, Amman. Included meals: Breakfast & dinner. Full Day Itinerary: Your guided tour of Petra begins with a ride on horseback, followed by a walk through the Siq, a narrow gorge flanked by cliffs. At the end of the Siq, the breathtaking of the Treasury, with its elaborately carved façade comes into view. Explore the various tombs and structures in this site and marveling at the artistry and creativity that must have inspired the Nabateans to construct so marvelous and dramatic a city. Later this afternoon, drive north to Amman and check into your hotel. Accommodations: 3 nights Nof Ginossar or similar. Included meals: Breakfast & dinner. Full Day Itinerary: Transfer from Amman to the Sheikh Hussein Bridge border facility in the Jordan Valley. After passport procedures, cross over to Israel where our representative will be waiting for you. 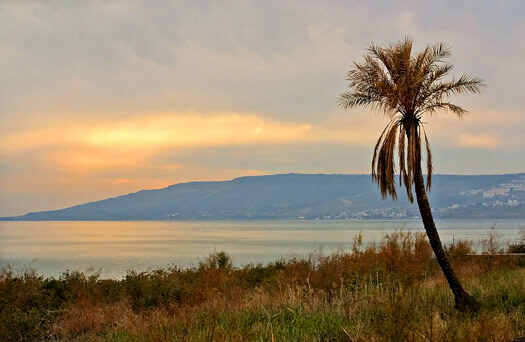 Continue your journey to the Galilee. Full Day Itinerary: This morning we will visit Tel Hazor which is a testimony to a civilization that has disappeared – that of the Cananean cities of the Bronze Age and the biblical cities of the Iron Age manifest in its expressions of creativity: town planning, fortifications, palaces, and water collection technologies. It was the largest fortified area during the Israelite period. End the day with boat ride on the Sea of Galilee. Dinner and overnight at hotel. Full Day Itinerary: Depart to Gamla, the ancient city is located in the lower Golan, on a steep ridge that rises to a height of 330 meters above the surrounding terrain. Hike down the mountain slopes to what is sometimes called "the Masada of the north", remembered for the catastrophic defeat during the Great Jewish Revolt against the Romans. On to Kursi in the land of the Gadareens - the place where Jesus healed a man from an evil spirit that was transferred to a swineherd. Stop in one of the shores of Jordan river, and then continue to Mount Arbel, with a peak of 380 meters above the surrounding area, dominates the entire surroundings and from the lookout atop the mountain, one can see almost all of the Galilee into the Golan Heights including Tzfat, Tiberias and most of the Sea of Galilee. 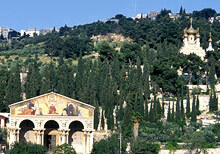 Accommodations: 4 nights’ Dan Panorama Hotel, Jerusalem or similar. Included meals: Breakfast & dinner. Full Day Itinerary: Drive from Galilee to Jerusalem through the ancient landscape of Samaria. See the ancient Ai, one of the city that Joshua conquest on entering to land of Israel. Continue to overview of Gilgal the first stop after the Jordan crossing. Drive to the ancient Shiloh site and visit the demonstration of the temple. Continue later with a visit to Mt. Grizim, one of the homes of Samaritan community. Finally, depart to Jerusalem. Arrive and check in to your hotel for dinner and overnight. Full Day Itinerary: Today visit the Valley of Elah, the location of the battle between David and Golaith, in Tel Azaqah. Visit Archiological site of Tel Lachish. 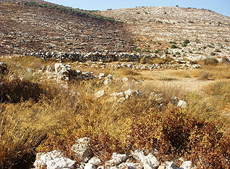 Continue to Tel Beit Shemesh, and return to Jerusalem through Emmaus. Dinner and overnight Jerusalem. Full Day Itinerary: Today, enjoy a panoramic view of the Old City of Jerusalem, Judean Desert and the Moab Mountains. 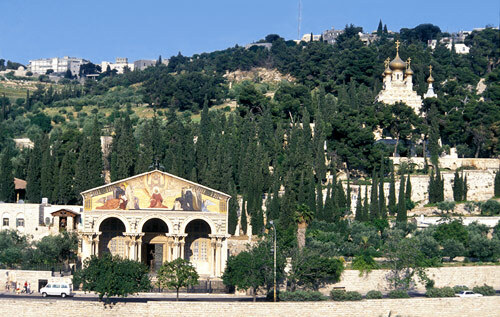 On top of the western slope of the Mount of Olives you will visit the Tombs of the Prophets (Matt. 23:27-28), follow the Palm Sunday route, walking down to Dominus Flevit, where Jesus wept over the city (Luke. 19:41), the Church of All Nations, Rock of Agony and the Garden of Gethsemane. Later continue to Saint Peter in Gallicantu, the High Priest Caiapha’s House, Jail of the Apostles, the Sacred Stairway, view the Potters’ Field (Matt. 27:3-10), the City of David, site of King David’s Palace and the Pool of Siloam (John 9:1-7). Enter at the Lion’s Gate to visit the Bethesda Pool, Saint Anne’s Crusader Church, the Ecce Homo Arch and the Via Dolorosa, with its Stations’ of the Cross - from the Praetorium to the Holy Sepulchre. Continue to the Garden Tomb: visit the Tomb, tour the garden and attend a communion service. Dinner and overnight at hotel. Full Day Itinerary: Today depart on your visit to the Temple Mount. Continue later to the visit the Archaeological site of City of David, located just outside the walls of the old City of Jerusalem, beneath the Western Wall. The City Of David is a historical and archaeological treasure. This narrow hill is the birthplace of Jerusalem, the capital of Israel for more than 3000 years. Here, Kings and Prophets once roamed. Proceed to visit Davidson Center located at the Jerusalem Archaeological Park. This is Israel’s most important antiquity site. It reaches the Temple Mount on the north, the slope of the Mount of Olives and the Kidron Valley on the east, and the Valley of Hinnom on the west and the south. This exceptional area which has captivated the world’s imagination throughout history, has been designated as an archaeological park and open museum. Visitors to the park follow events spanning some 5000 years, beginning with the Canaanite (Bronze) Age and continuing through the days of the Israelite monarchy in the First Temple period. The splendors of the Second Temple and the impressive architecture of King Herod, dating to the second half of the first century BCE are a key element in the park, and the remains and monumental structures dating to the Christian and Muslim periods are clearly visible. 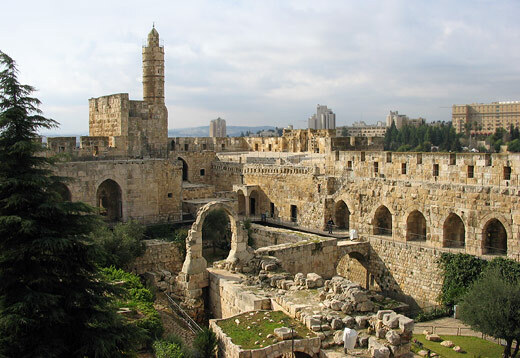 Later, enjoy a visit through Herods Palace at Tower of David Museum. Dinner and overnight at hotel. Full Day Itinerary: Early morning transfer to Ben Gurion Airport to board your return flight home via Istanbul. Your fascinating journey comes to an end as you arrive in the USA later today. Can I make changes to my trip? Want to upgrade your seats? Depart from another city? Something else? Just ask! What should I know about Jordan? Check out our guide for travel tips, the best time to go, blog posts, videos, and more.